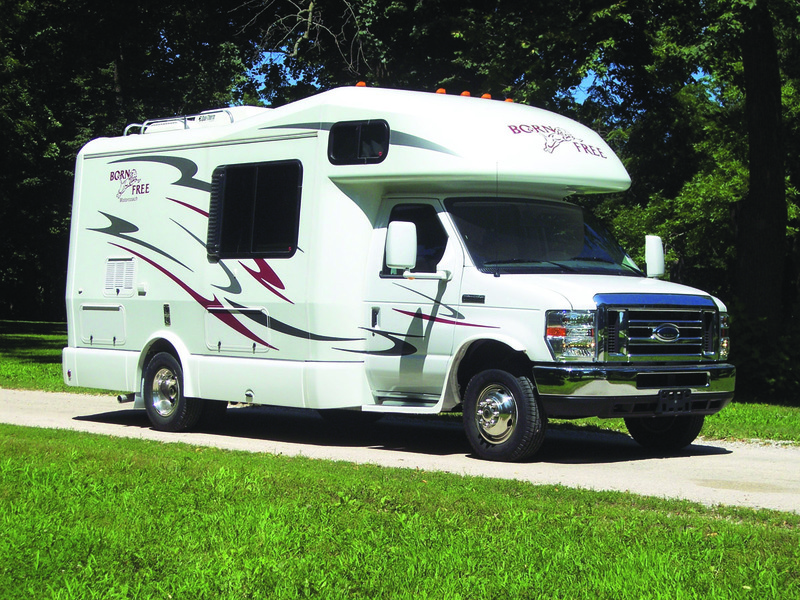 A Class C motorhome starts with a cab-and-chassis unit and has the RV body added to that chassis. The cab can be that of a Ford, GM or Dodge van, or it can be a full-size pickup or medium-duty commercial truck such as a Freightliner, GM or Navistar/International model. Most Class C’s have a cab-over-body section used for a large bed or to house cabinets, a TV and the like. You may still hear some old-timers refer to these as “mini motorhomes” because they once were significantly smaller than a typical Class A. Today these rigs are still somewhat smaller, but they’re by no means “mini” anymore. Some are 40 feet long and are based on a commercial-truck chassis, but these are a small part of the Class C market. Diesel-powered Dodge Sprinter-based Class C’s are growing in popularity, as they offer significantly higher fuel-economy potential than their traditional gasoline-powered counterparts. The cab is the biggest difference between a Class A and a Class C. The Class C cab offers truck-manufacturer engineering and design and is a familiar and comfortable place to many drivers. It has easy-access driver and passenger doors. At the same time, the engine can be challenging and expensive to reach in most van-based Class C’s, while pickup-based rigs have the engine right out there in front for easy access.